for Any Type of Venue! 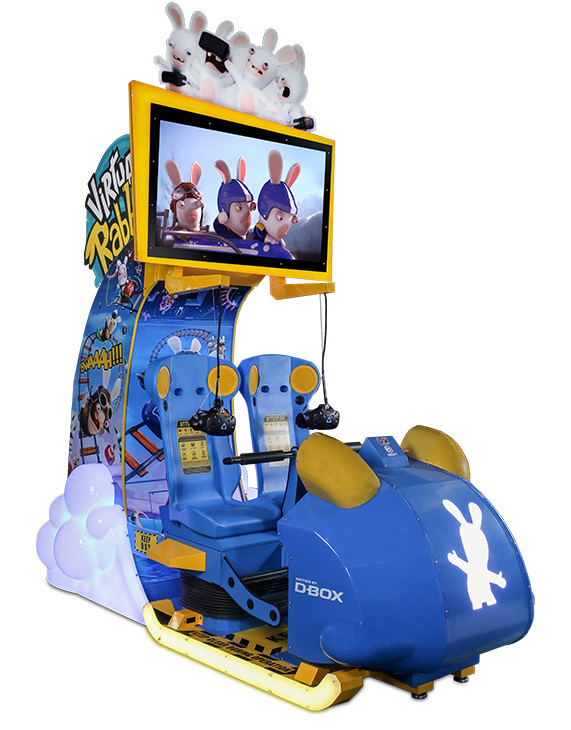 Reported by many operators as their #1 earner, and voted the #1 Video Game 3 times in RePlay Magazine’s Player’s Choice poll, Virtual Rabbids: The Big Ride lives up to the hype! 3 Brand New Experiences landing this Summer! Ride operators will be able to access a new Media Kit to help promote the new content before it arrives! Stop by the LAI Games booth to learn more March 27 & 28! We would love to tell you.